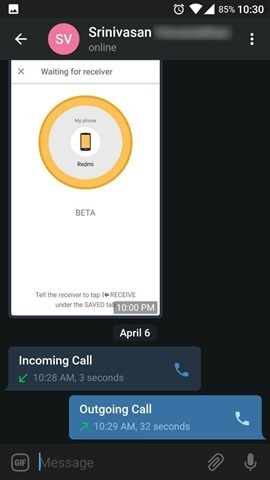 Telegram voice calls are now live in India, but there was no official announcement acknowledging the same. Even the change log for the latest version of the app on the Play Store version does not mention it. The move comes barely a few days after the feature was rolled out to North America, South America, and Africa, after debuting in Europe just a week ago. But we can clearly see the call button in the conversation screen. 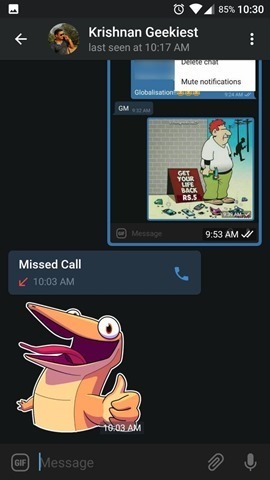 Here is what a missed call notification in Telegram looks like. 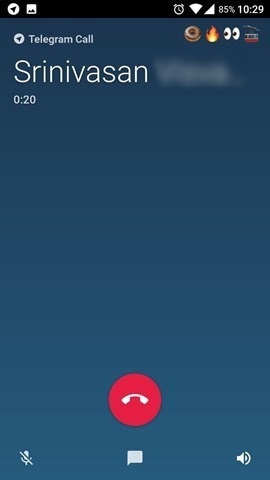 You can return the call by tapping the message too. 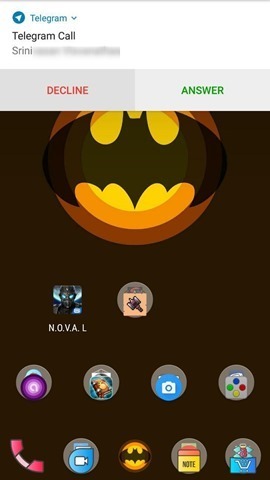 If you want to make new calls, you can also use the Calls tab,, which is available from the hamburger menu on the top left corner. This tab will only list the call log though, so it isn’t of much use at the moment. 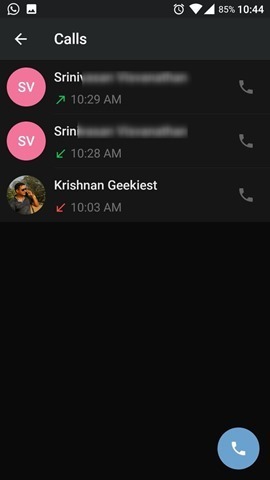 This is the incoming call notification, with options to answer and decline. 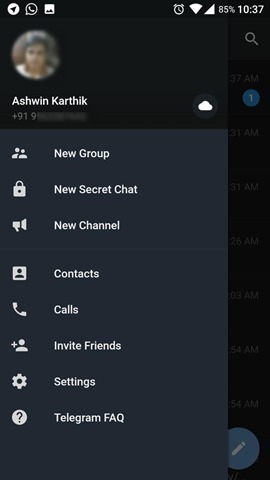 And this is the call screen in Telegram. It will display the profile photo of the caller in full screen. You can also see the random emoji it generates, to show you and your caller that the call is 100% secure, i.e.,end to end encrypted. 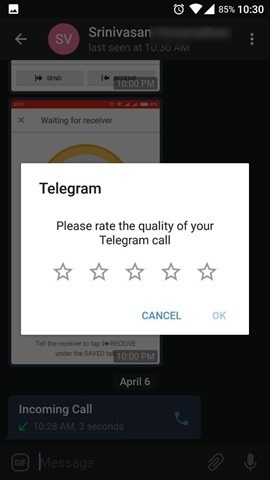 Once the call is ended, Telegram will ask you to rate the quality of the Voice Call. Speaking of which, the quality of the call seems to be quite good, if not better than what I get on WhatsApp. I am not sure if this is a common issue, but lately WhatsApp voice calls have been a bit of a let down for me, with the voice on the other end breaking quite a bit. 90% of my contacts use WhatsApp, but with the availability of calls in Telegram, perhaps I could convince some of them to jump ship.